Your dream home is one step closer when you get your mortgage with Wanigas. We have competitive rates and a variety of mortgage programs to suit any homebuyer’s needs. 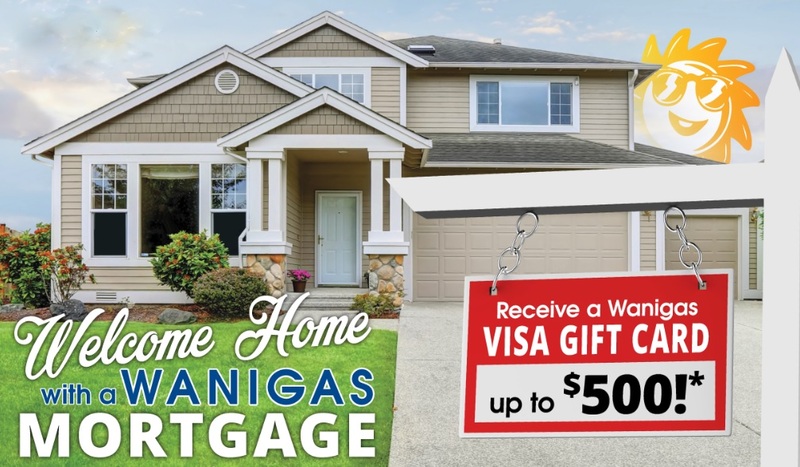 Do you already have your Mortgage with Wanigas? Click the button below to access your Midwest Mortgage Account Information. * Loans currently financed with Wanigas CU are not eligible for this offer. Offer cannot be combined with any other offer. Excludes Home Equity and Non-Conventional Mortgage. $250 VISA Gift Card given at closing for mortgage amounts less than $50,000. $500 VISA Gift Card given at closing for mortgage amount $50,000 and greater. Normal Loan Guidelines Apply. Offer valid April 1, 2019 through June 30, 2019. Wanigas pays $500 or $750 of the closing costs based on the loan amount**. 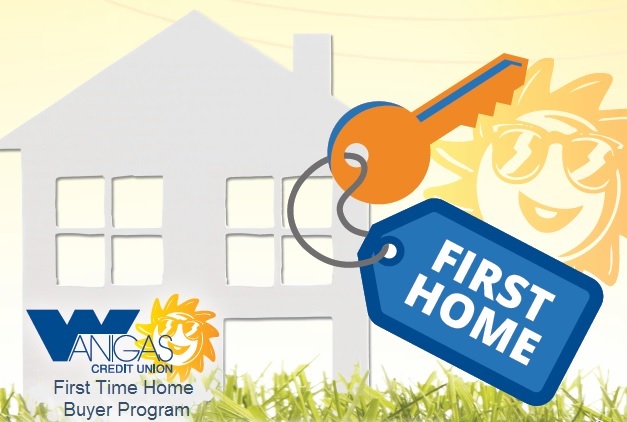 * A First Time Home Buyer is anyone who has not previously owned a home and is purchasing their first home. To qualify for the program, the following criteria must be met with your Wanigas member account: Checking Account, a Wanigas Debit Card and direct deposit into your Wanigas account. Some restrictions may apply. This program cannot be combined with any other offer or promotion. ** $500 off for loan amounts below $50,000. $750 off for loan amounts $50,000 and greater. Recent statement of assets like your 401k, stocks, bonds etc. Let us help get you into the home of your dreams. You can either apply for your Wanigas Credit Union mortgage online or stop by one of our branches today. For more information call (989) 799-6011 or (800) 675-2285 ext. 782.